TradeZero offers competitive commissions along with a powerful platform for active traders and direction market access. The only downside is they don’t allow US citizens to open accounts with them. Trade Zero is an online broker that is headquartered in Nassau, Bahamas and focuses on provided broker services to active traders who are looking for cheap commissions. Since they are outside of the states they don’t have to comply with the SEC regulations for pattern day traders and can supply more buying power than normal without the high requirements for day traders in the states. 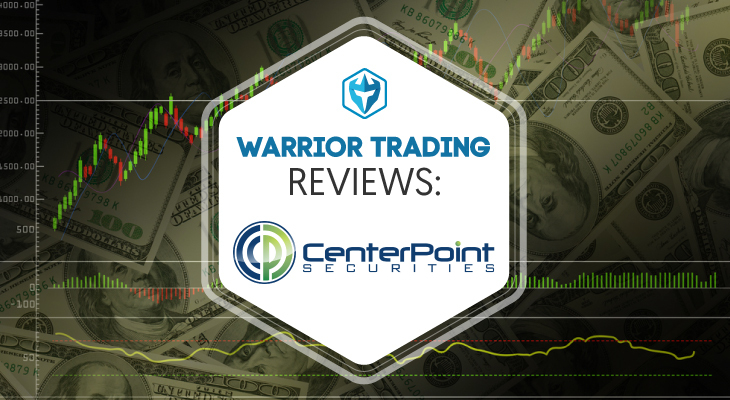 I found their site to be easy to navigate with all the information you need just a click away and not hidden like some other brokers. Their customer service was middle of the road with and didn’t answer every time I called. However, when they did answer they were nice and professional and were able to help me with my questions. I also liked that they have a live chat feature in case you just have a quick question. Trade Zero’s claim to fame is that they offer free limit orders if the order goes unmatched for more than one second and its for 200 shares or more. It also has to trade on a major exchange like the NYSE, AMEX or NASDAQ and have a value of more than $1. This is the first I have heard of an offer like this and I found it to be pretty interesting, but I’m not sure how likely an order will go unmatched and if they’re just using this as marketing ploy. For marketable orders there is a flat fee of $0.005 per share with orders less than 200 shares being a flat fee of $0.99. So for a thousand shares you will pay $5.00 and for 100 shares you will pay $0.99. Looking at their software they had a couple different choices with the main two being their web-based platform called ZeroWeb and their main trading platform called ZeroPro (both with direct market access). The web-based platform comes with all your standard features and can run on any connected device such as computers, laptops, tablets or phones. What I liked about it the most was it has hotkey capabilities and direct market access. These are key features for active traders. I found it to be more powerful than other web-based browsers I’ve tried and was surprisingly quick. 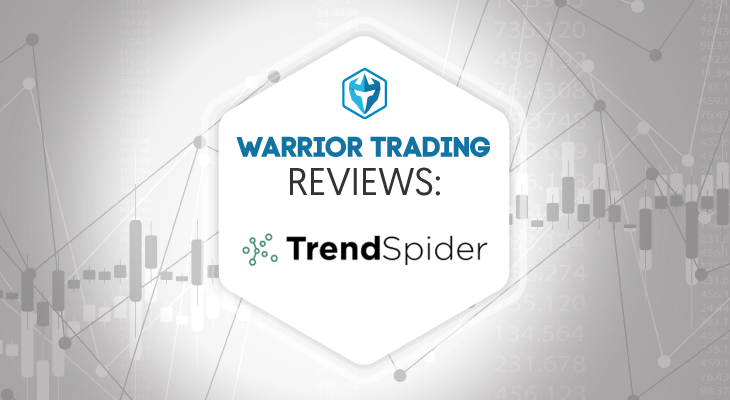 Their flagship trading platform ZeroPro is powerful and full of rich graphics with advanced order entry and hotkey capabilities. It also features Level 2, time and sales, real-time news feed and direct market access. You can check it out for free by signing up for their demo. 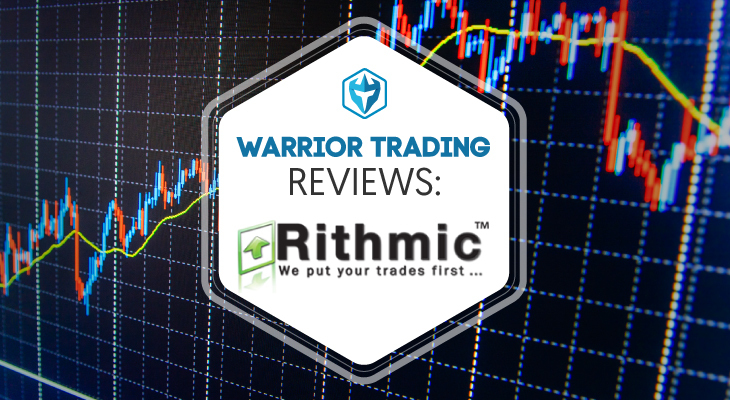 I found it to have all the features and tools you need to trade actively and definitely recommend it if you’re shopping around for brokers. 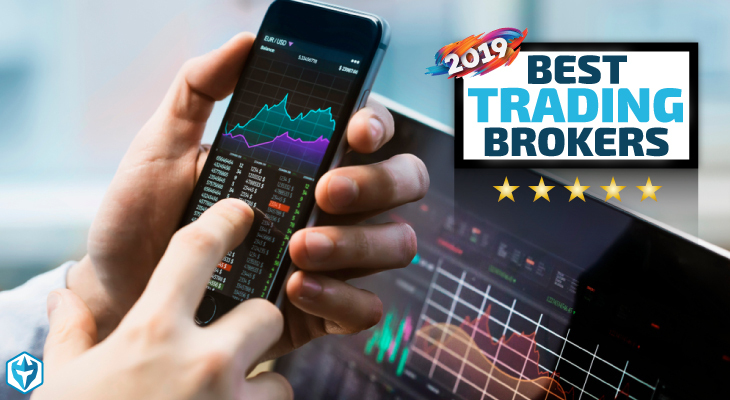 Even though they are headquartered overseas, I still recommend checking out Trade Zero as they offer some great tools and excellent commission rates. I know it seems a little sketchy that they are offshore but there are other brokers like SureTrader that have been doing it for a while. 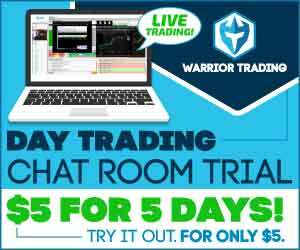 They provide a service to traders who can’t fulfill the equity needs for the patter day trading rules in the states by allowing traders to day trade on margin with much less equity requirement. If interested in checking them out you check their site out at this link. 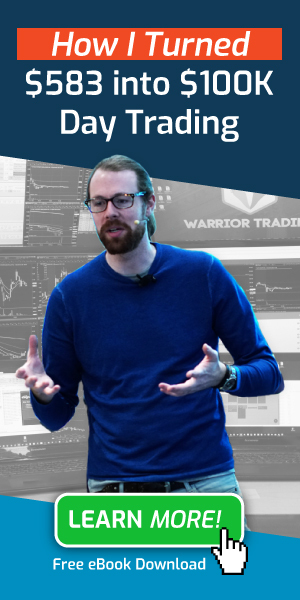 Click on the image below to see how you can save on your Warrior Trading education through the special rebate program we’ve started with TradeZero! 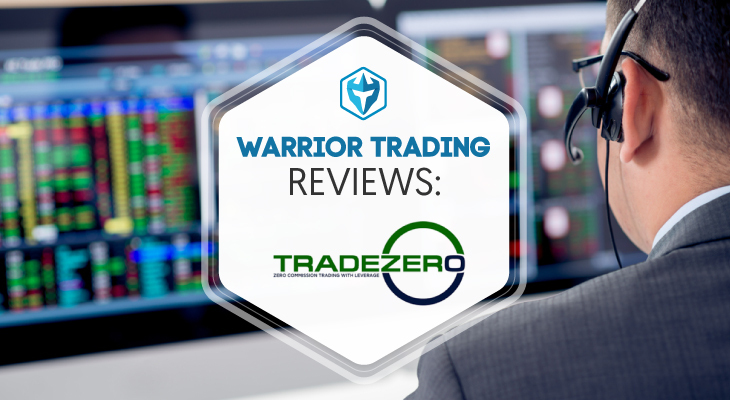 As always if you have any questions or comments regarding Trade Zero, please leave us a message below! 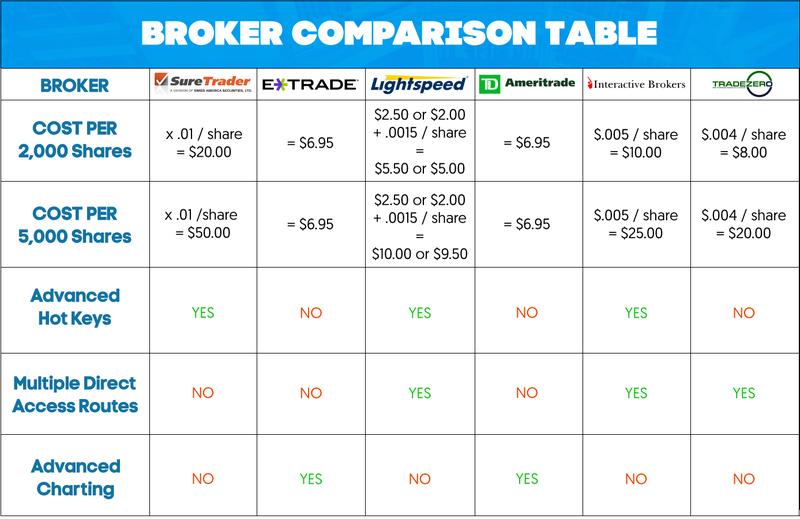 Do you know if Trade Zero would have trade execution speed equal to Suretrader or Speedtrader? Thanks for the review! I switched from Suretrader to Trade Zero for lower cost commissions and lower cost Lvl 2 feed costs. If anything, I am perceiving the trade executions are faster with Trade Zero. PROs: Personally, I find Trade Zero Pro desktop has great Level 2, Time and Sales and speed/reliability of trade executions. Hotkey features are modest, but have the essentials and work good. The News feed is good too. CONs: Charts are basic compared to other trading platforms. It’s challenging to know if shares are available to short or have leverage limitations. Compared to Suretrader Pro (DAS Trader), the TZ Pro platform is very basic and not as developed, but works very well. is USA an opotion for Country? Unfortunately no, sorry. We require a foreign ID and a foreign PROOF of address. they can’t be American you can still use a US bank to deposit however. This review seem to be legit. But i have some doubts like do they have shorts available compared to sure trader. I mean ETB like suretrader? Very Very basic hotkeys. They don’t have a hot key for stop-loss based on price paid or stop-loss based on average price paid. Just bid ask ‘current’ and ‘last’. So you have to be creative and extra careful on volatile stocks. I have been with TradeZero for over a year. Customer service from TradeZero should be 1/5. While they are always available and you usually have someone to help you within seconds… they are ZERO help. The platform is slow and plagued with bugs (VWAP calculations for example). The VWAP can be listed on the 3 min chart, 10 min chart, and in the level 2/ time & sales and all 3 will be different. I have screenshots of the VWAP being off by over a full $1! That is insane, and it has been like that for over 2 months. I am leaving this week and I would recommend everyone else avoid them at all costs. I am happy to pay a bit more for a broker that I can trust. $75 fee for wire transfers out of TradeZero….. case and point.